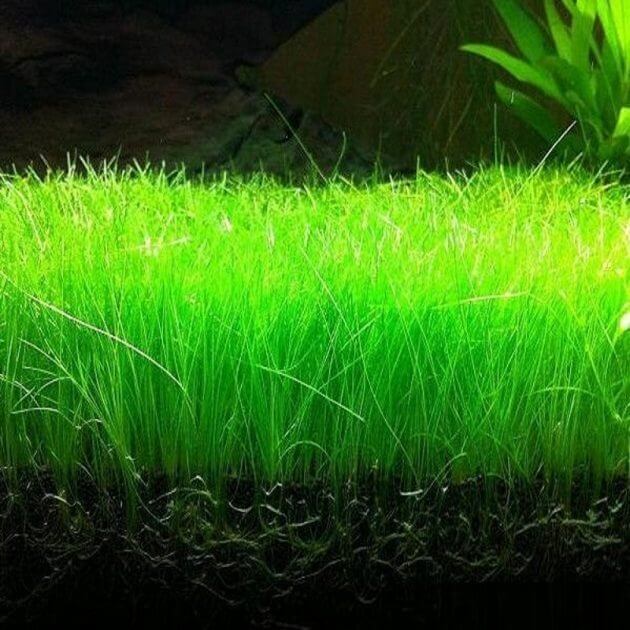 Underwater Grass For Aquarium Eleocharis Pusilla (Eleocharis Parvula or Hairgrass) – Eleocharis parvula is one of freshwater aquarium grass from species spiked edge. This aquatic grass commonly called ‘hairgrass,’ ‘dwarf hairgrass,’ ‘dwarf spikerush’ and ‘small spikerush.’ It is an aquatic plant of brackish and saltwater habitat, like as swamps and muddy areas. But, according to Kasselmann in 2010, he said that this plant truly is Eleocharis pusilla where them native to Australia and New Zealand which they were imported from Australia by the aquarium plants nursery ‘Tropica.’ This aquarium grass has been in trade market since 1997. The true Eleocharis parvula may not even be available in the trade market. This plant distributed in Asia, Europe, Northern Africa and North and Central America, where it’s most commonly found in brackish habitats on the coast. The rhizome tips of Eleocharis parvula usually looks small spindle-form tubers shaping a J- or U-shaped bow, These not entirely in Eleocharis pusilla. 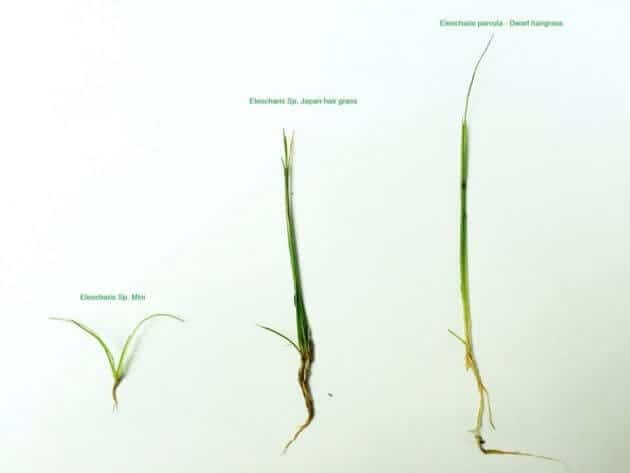 When planted submersed, E. Pusilla differents from another aquarium grass as known Eleocharis acicularis by its lesser height (in most cases certainly under 10 centimeters) a brighter green hue and by stalks curving sideways. [sociallocker][/sociallocker]The Eleocharis species are hard to distinguish, and without their spikes or rather an infructescence they are almost unidentified. So, it’s possible that there are more than one species in trade market under the name “Eleocharis parvula.” In the United States, for example, an Eleocharis sp. ‘Belem’ is known seems nearly similar to the aquatic grass cultivated as ‘Eleocharis Parvula.’ And the dwarf spikerush is easily confused with Eleocharis acicularis. The dwarf hairgrass is highly versatile and useful plant. They may be used to significant effect by they self to shape grassy carpet, this very dense carpet effect may be achieved in 6 – 8 weeks from planting. 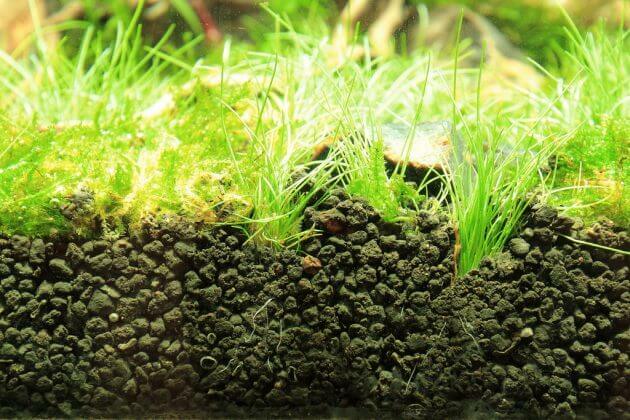 They also useful when cultivated sparsely around the edges of stones and driftwood which they produce a ‘softening’ effect, especially if used for creating a layout with iwagumi style. This plant has a unique feature that if this plant cut short before it’s cultivated then it likely to stay short when it grows in and becomes established. Instead, if it’s allowed in it’s longer conditions, it will take on growing in a longer shape. For this reason, the Eleocharis Parvula whose has longer form may be planting to the background tank, and Eleocharis Parvula with the shorter form may be planting to the front and sides of the tank. 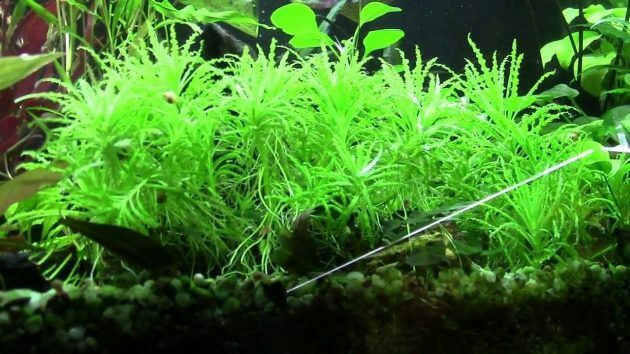 Planting them in this way is very effective for planted in nano aquariums which a great sense of scale may be reached with proper use. That plant can plant in an aquarium with low tech, although adding CO2 can increase growth levels as other aquarium plants and makes them healthier. Try CO2 kit from fluval is easy to use and very suitable for nano tanks and medium tanks, click here to check out the products. Commonly potted Tropica specimen will generate about ten to fifteen little bunches where may be cut out of the original Rockwool. Any remaining rockwool may then be sprayed away by putting the finger on a running tap and pointing the spray at the rooted parts till the majority of the Rockwool is cleared. 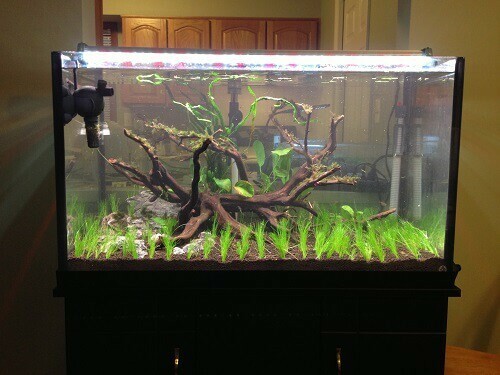 Each portion should be placed into the substrate, and for this job using aquascape pinsettes are essential. Where carpets are needed, position plants one or two inches apart in a pattern look-alike to the number 5 found on dice. 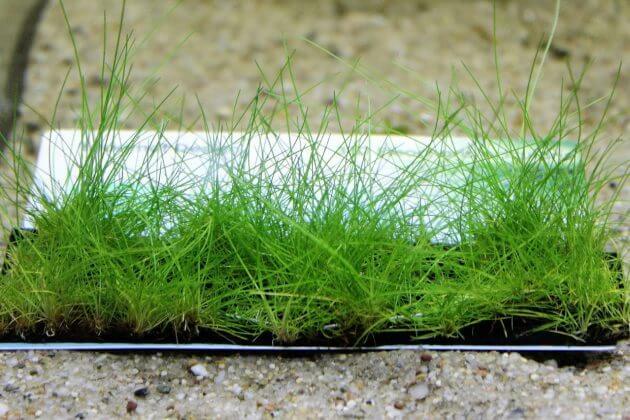 The Hairgrass will grow by sending out runners into and out of the substrate and growth can be very fastest. 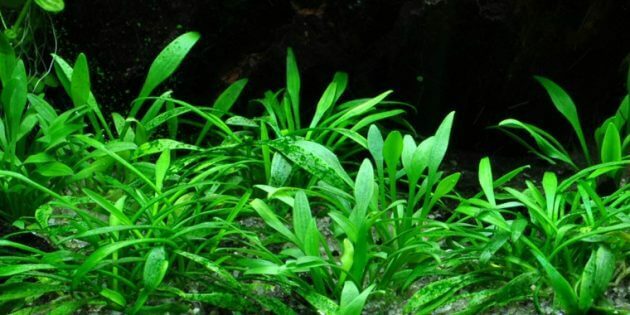 As another underwater grass for aquarium, this plant needs the substrate whose has rich micronutrients and granules with small size like as ADA Aqua Soil, because the smaller granules can allow the roots to get a better grip and the rich micronutrients can help promote healthier growth. 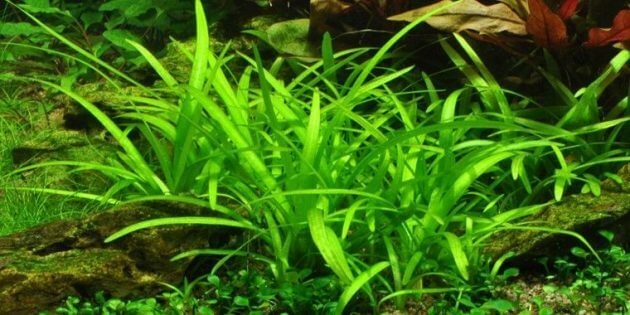 Dwarf Hairgrass? Click here to check out the offer.